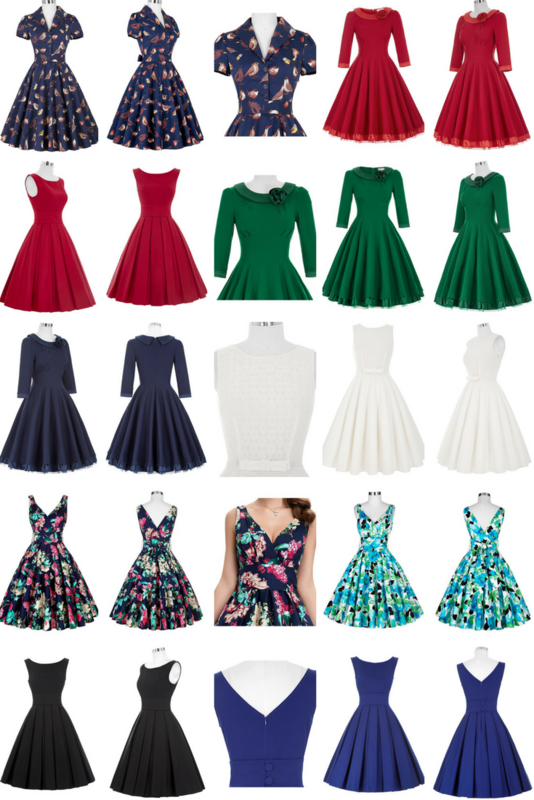 Retro Style Dresses For You This Christmas! Can you believe we're nearing the end of 2016? What a year it has been, hasn't it peeps? 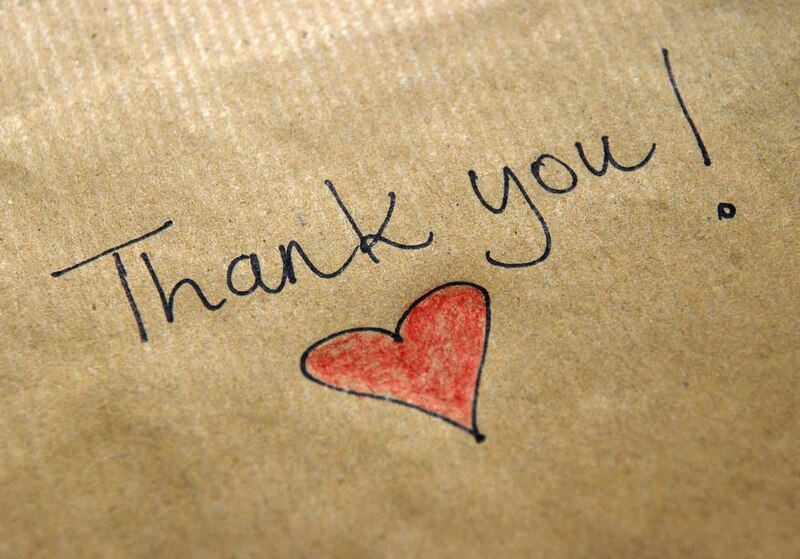 We'd like to thank you for your support - it's fans like you that makes what we do worth doing! As we embrace the spirit of Christmas and welcome the presence of loved ones (and presents too! 😆), we thought you might want to celebrate this year in style! 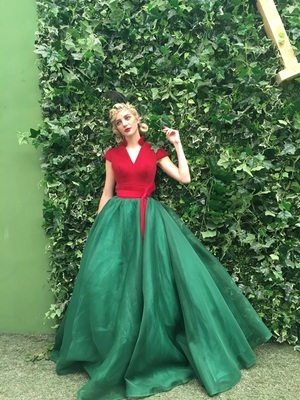 So we've rounded up all our Christmas themed retro dresses for you. Go check them out here. And while you're at it, might as well add a pop of colour and complete your retro ensemble with one of our gorgeous 1950s style petticoats. Every retro dress deserves one and yours does too! The 1970s Maxi Dress Styles: Are You A Fan? Ah, the 1970s. Such carefree fashion styles ranging from flares to bell-bottoms, hot pants to mini skirts and maxi dresses to floaty kaftans. In 1970 fashion was all about keeping clothing snug on top and relaxed at the bottom. And of course, not forgetting pretty prints too! Since summer is near (yes, you can most definitely feel it in the air! ), temperatures are rising as we bid spring goodbye. I like to think that maxi dresses are a staple for summer especially with their lightweight and comfortable fabrics. It just makes the heat a little more bearable, and quite honestly, I just don't enjoy fabrics that adhere to my skin especially when I perspire. Nope, not one bit! So this week, we've decided to introduce a few 1970s maxi dress styles featuring gorgeous printed chiffon fabrics to our online store. So if you're as much of a boho addict as we are, you're in luck because these selections will be perfect for you! :) Go check them out here. For us, it's never just about the dresses. It's about the smiles on people's faces and the twinkle in their eyes when they put on a dress they love. It's about the confidence that's evident when you wear something you're comfortable with. In short, a dress is just a dress. 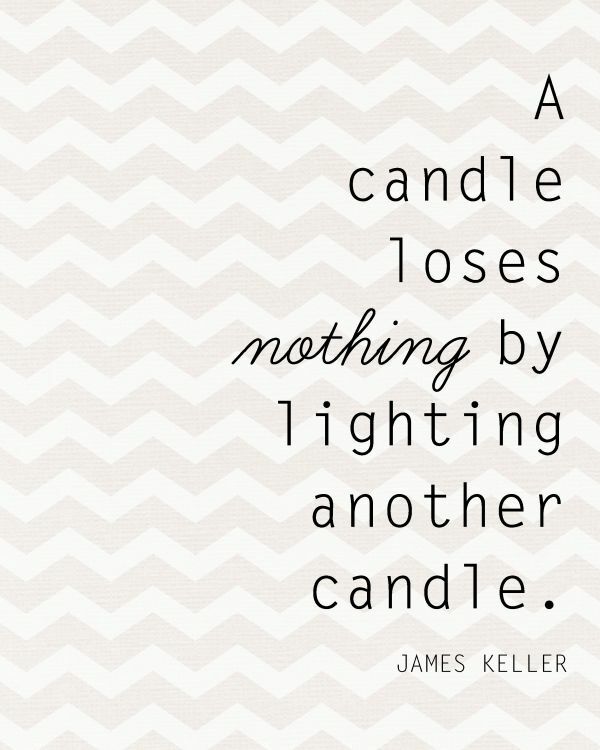 But it's the effect it brings to people's lives - that's what matters to us. Probably one of the most loved bloggers out there, Rebecca from A Clothes Horse never fails to impress us with her outfit styles, perfect hair (every time!) and gorgeous photos. 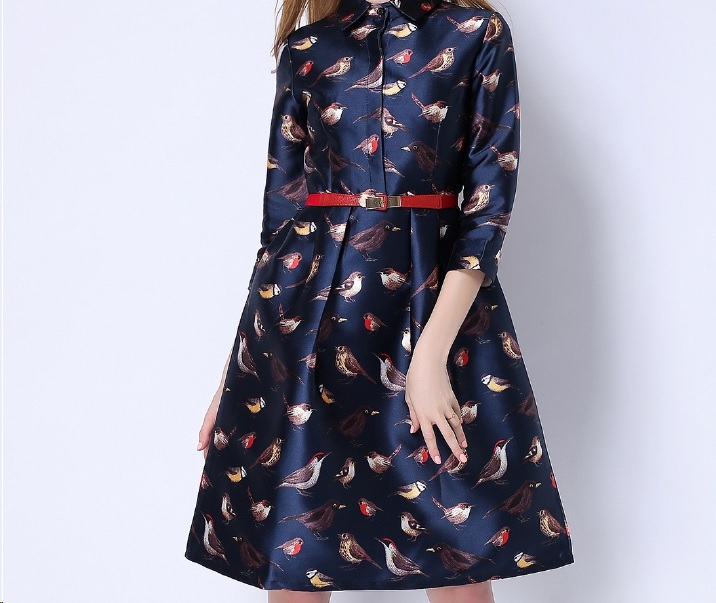 Every number she wears has a story to it, including this cute A Little Birdy Told Me Retro Dress. As an American living in Northern Ireland, Rebecca loves vintage and retro styles, but puts her own spin on it by wearing them in a more modern way with quirky, personal touches. Read more about the outfit post here. 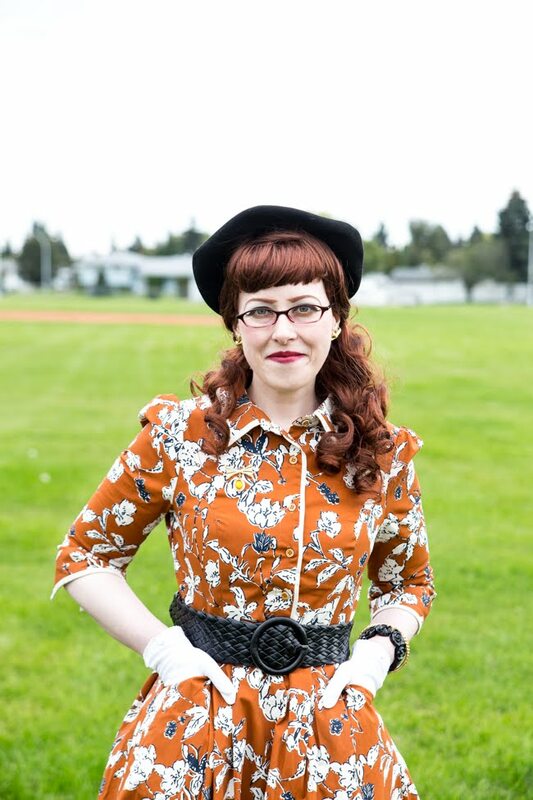 Getting to know Jessica from Chronically Vintage has been nothing but an absolute dream! As one of our all time favourite bloggers, we felt connected to her the moment we stumbled upon her blog which is centered around her love for all things vintage specifically from the 1930's to the 1950's. We couldn't help but feel warm and fuzzy all over when we saw her in our Elegant Me Floral Retro Dress. Though the dress may have sold out, we'll always have this beautiful photo of Jessica to remember this dress by! Want to see more lovely photos? Click here! 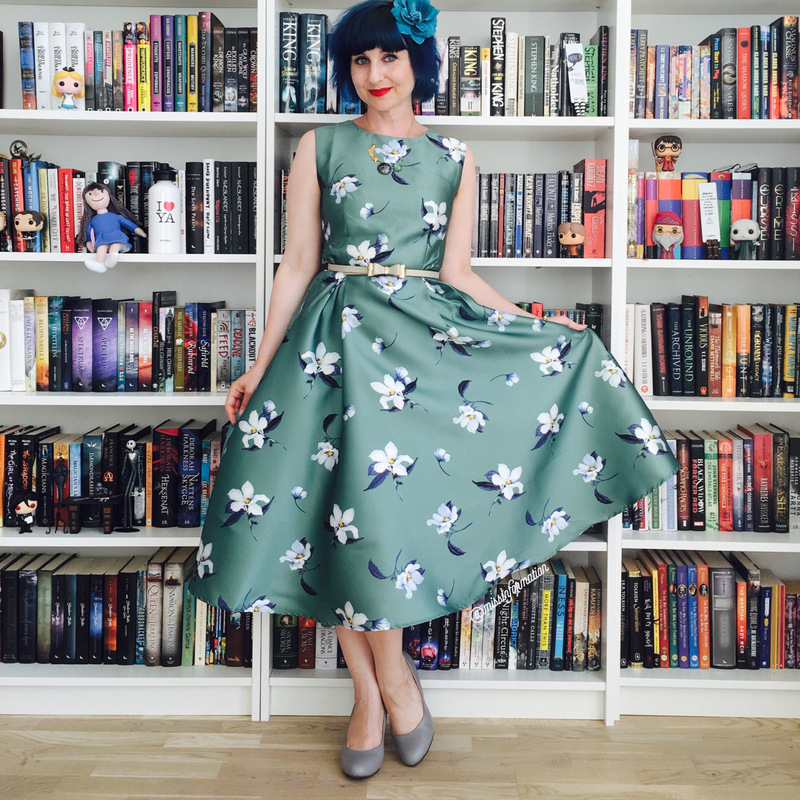 When we saw Katherine in our Elegant Floral Print Retro Dress, our hearts melted. As a children’s librarian who is very fond of books and novelty prints, Kat has always been one of our favourites! I for one, grew up loving books so I could immediately relate to Kat. Seriously, have you checked out her Instagram feed? It's truly one of its kind! We've always adored Kat's whimsical fashion styles and her lighthearted sense of humour. 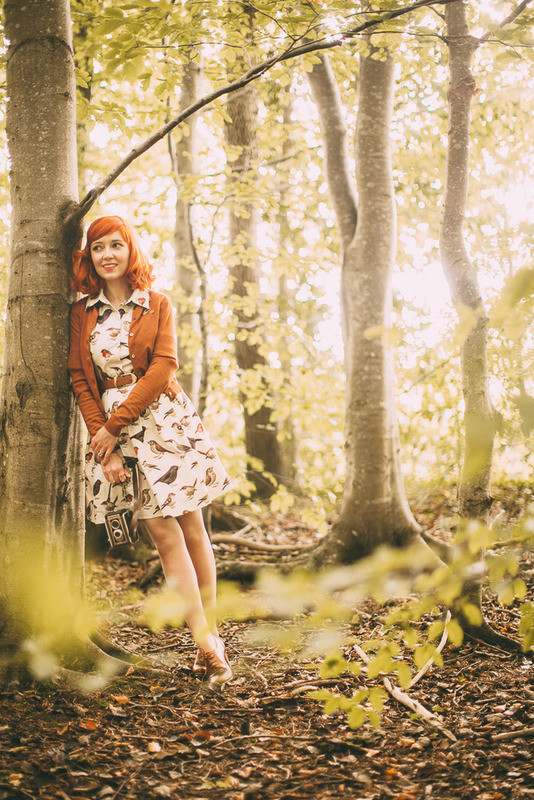 Check out more lovely photos of Kat in this dress in her blog post here. 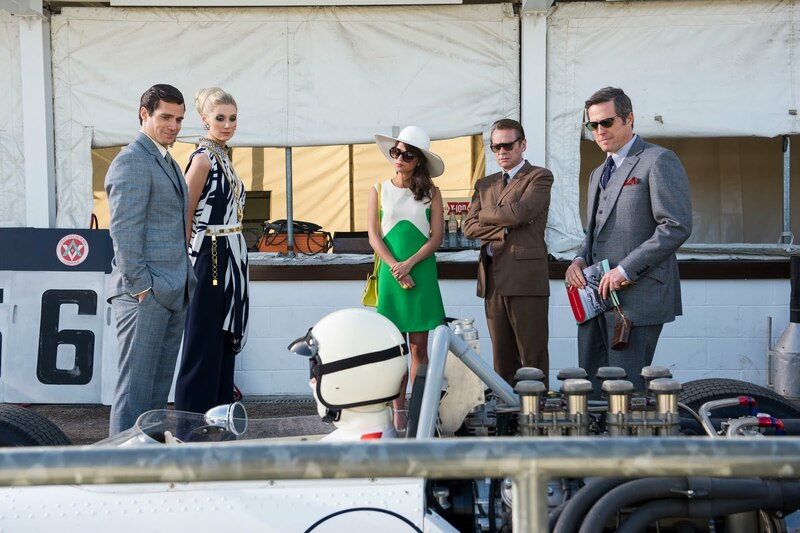 The 1950s is one of the most loved decades when it comes to vintage inspired fashion, and for good reason. The dress cuts and styles are just too cute! 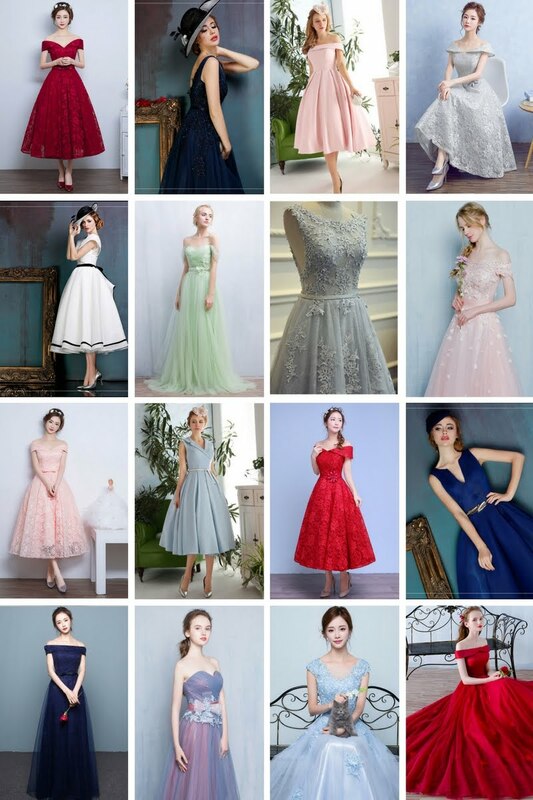 Exactly 3 weeks ago, we promised you more 1950s inspired dresses, so here we are! Hate Mondays? See How Your Dress Colours Affect You. I remember how I used to dread Mondays. The very thought of waking up to the sound of blaring alarm clocks was a major turnoff. Reluctantly dragging my feet to work, my eyes barely open and my body helplessly begging for just another hour (or two!) of rest and sleep. These days, I find myself looking forward to waking up each day. I set realistic goals that I know I can accomplish by the end of the day and I feel great about myself. Having a positive mindset really helps - Michael Phelps is right. This is perhaps one of my all time favourite quotes from the swimming legend. You may find it hard to believe, but part of my morning ritual is to put something on that I'd really feel comfortable with. How you dress is so important ladies - from the dress style to the cut and even the colour! Yes - colour does affect our mood and behaviour so choose wisely. Need to inspire trust and stability? Wear blue. Need a creativity boost? Try orange. This week I've rounded up some of our best selling dresses and how their colours may affect you. Give these gorgeous frocks a go and enjoy the difference that they make in your life! Touted as the colour with a calming effect, green is easy on the eyes and is also believed to relieve stress. Perfect for when you know you have a long day ahead of you and need to stay calm and collected as you soldier on. Depending on how you perceive yellow, the colour can most definitely work to your advantage. For some, yellow is a happy and cheerful colour that brings about positive and energetic vibes. However, since yellow is the most attention-grabbing colour, too much of it may evoke some levels of anger and frustration. If you find that this applies to you, choose a dress featuring relaxed, casual prints or a more muted shade of yellow. Black can also be a very tricky colour. Again, depending on individual, black can make you feel powerful and confident apart from the fact that it also makes you look slimmer. In the fashion industry, black is often seen on big brands such as Coach and The Iconic as the colour is synonymous to class and elegance. So there you have it - the psychology behind colours. Use this information to your advantage and choose the right colours to give you the strength, motivation and inspiration that you need. This week's post is a special one indeed. Why? Well, we've decided to put together a few of our customer photos, featuring them all dolled up in their newly bought frocks. What's different this time is that these ladies have cleverly made their dresses their own. Read on to find out more! Also, there are just too many beautiful photos to choose from, so if you don't see yours here - don't be disheartened, there will be more of these kinds of posts to come! When we first saw this photo, we were speechless! 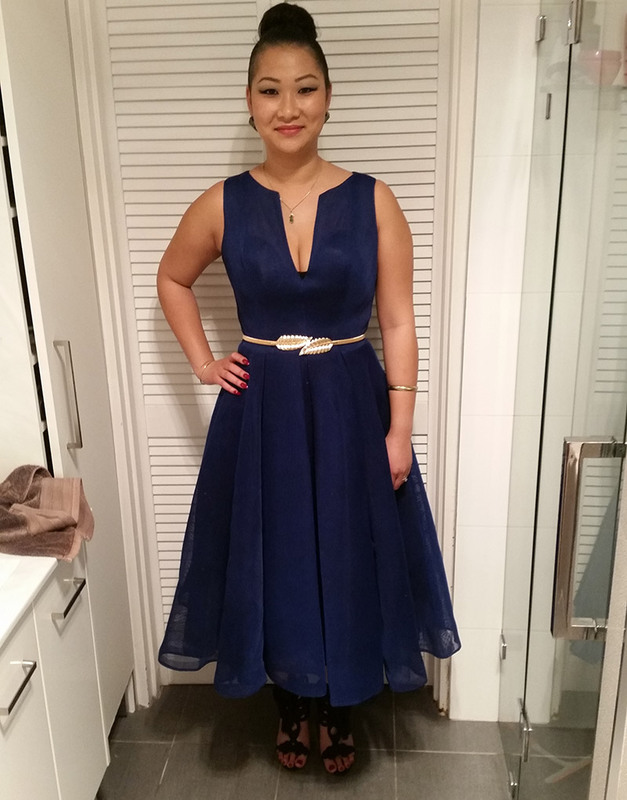 This is Christine H. looking perfectly stunning in her vintage inspired color block ball gown. Inspired by the rose petals elegantly scattered on the ball gown the model wore during the photo shoot (as seen in the model photos), Christine decided to add hand crocheted poppies to her own dress! This is by far the most creative undertaking we've ever seen in making a dress truly your own! "Hello. This is my fabulous ball gown with the added hand crocheted poppies. Absolutely everyone loved it, it was truly original. Thank you for making my night so special." This dress has always had a special place in our hearts, simply because everything about it is so truly perfect! (Well, in our eyes at least.) It had the right balance between modesty and showing some skin and didn't feel too over the top with just the right amount of flare in the skirt. Imagine our surprise (and delight!) when we found that @moving_eternity won Prom Queen 2016, wearing this dress! She reminded us so much of Elizabeth Taylor in one of her promotional portraits (wearing a red dress and a white fur shawl too!) the moment we saw her picture. "@dressific Thank you so much! The dress fit me perfectly and I got so many compliments! 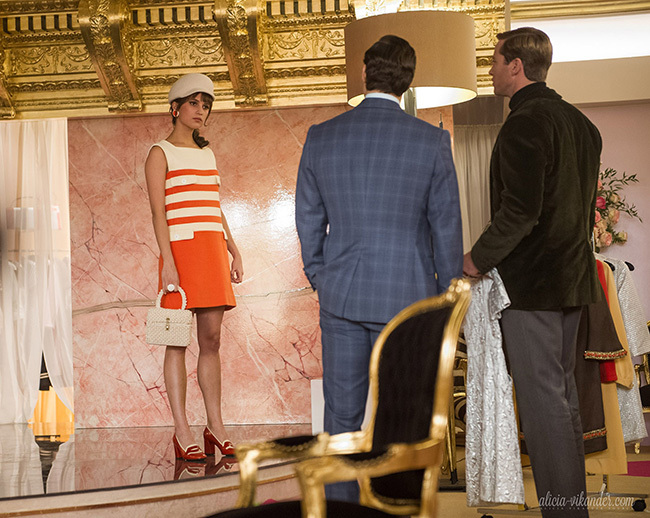 I felt like Julia Roberts from Pretty Woman in the red dress ❤️‍❤️‍"
Here's Melanie in her gorgeous striped retro dress. Stripes are just so Audrey Hepburn and we love it to bits! We truly adored how Melanie put her own spin on the dress by adding a wide tan belt and completing her look with suede ankle boots. We think it's a clever way of adding some colour contrast and it looks great on her! 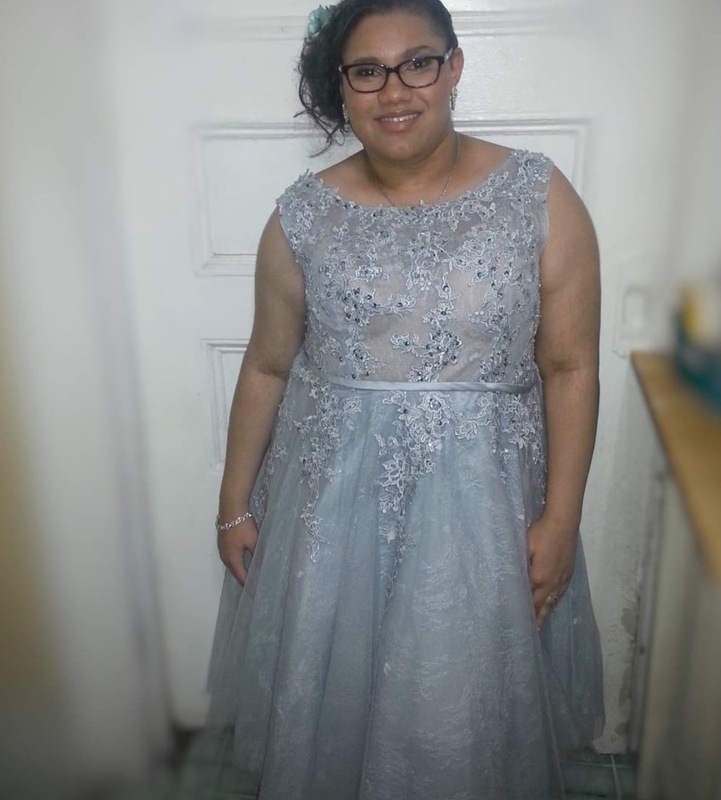 "Thank you for all your help with the dress, it arrived and I have already worn it, it looks lovely and fits really well 😀 I decided to add a wide tan belt to it and I just love it! I got many compliments on it and was asked where I got it from." These beautiful photos are what inspire us to continue doing what we love we to do - curating modest vintage inspired and retro dresses for elegant women. And yes, we just love receiving photos too because it feels great seeing how our dresses are being worn and the smiles on our customers' faces are truly priceless! 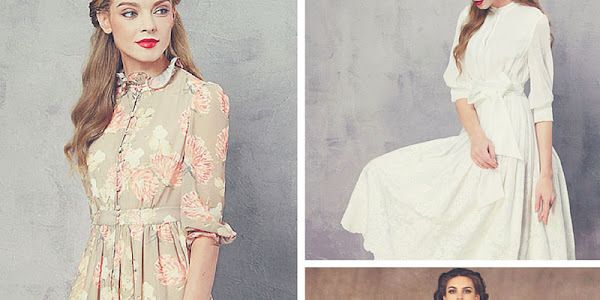 Your 8 Must Have 1950s Style Dresses This Spring! The best part is, these beauties retail at only AU$53.90 a piece, so rest assured you'll be looking gorgeously retro without ever breaking the bank. Jet black hair, fair skin, piercing violet eyes and signature bold red lips... now who could that be? 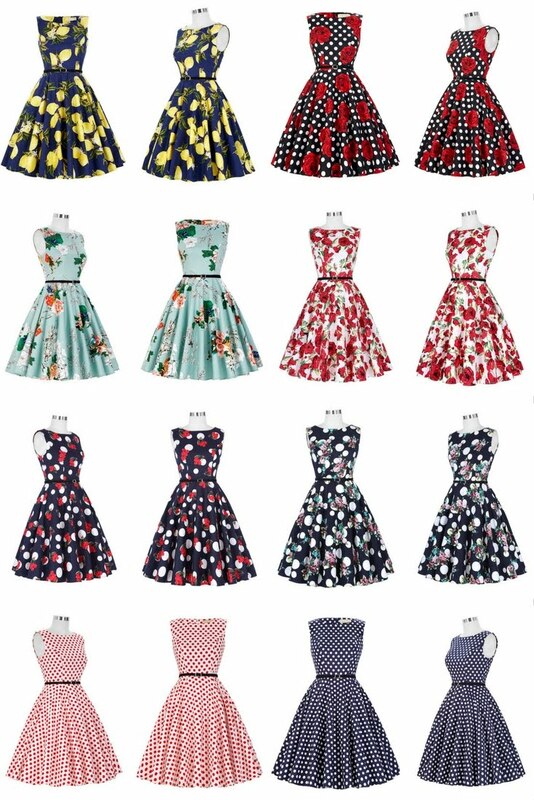 While today's 1950s fashion styles are primarily centered around swing dresses with prints, there is actually so much more to appreciate in this era. 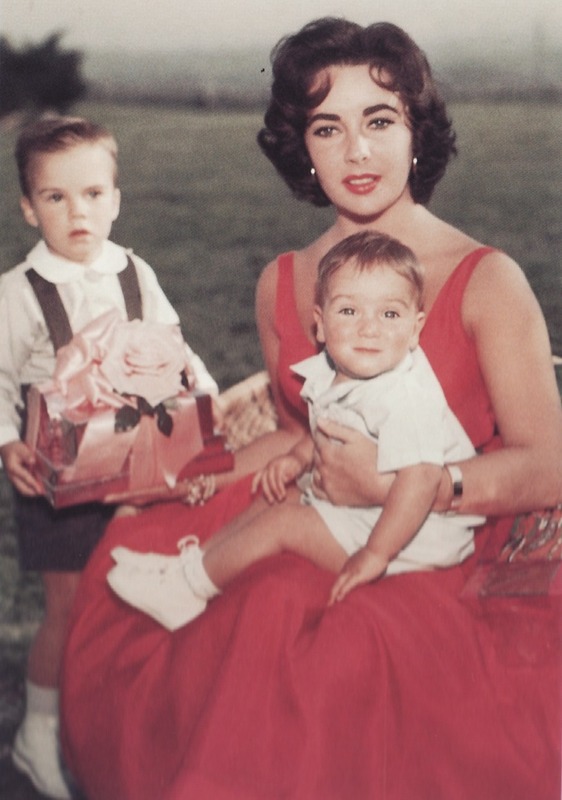 What I love most about Elizabeth Taylor's fashion sense is how she channels so much femininity in plain, solid coloured dresses. Elizabeth's two-time husband, Richard Burton, called her a 'miracle of construction'. 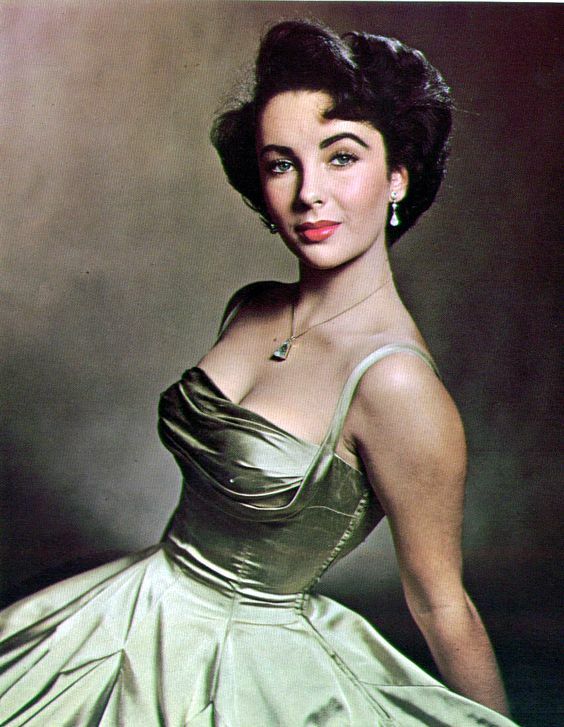 Elizabeth Taylor was voluptuous, and knew exactly how to flaunt her exaggerated hourglass figure. She reminds me a lot of Marilyn Monroe. These are some of my favourite photos of Elizabeth Taylor, so I hope you enjoy this lookbook as much as I do! In 1948, when she was just 16, Elizabeth Taylor was already on the cover of Life magazine. Needless to say, looking as glamourous as ever. 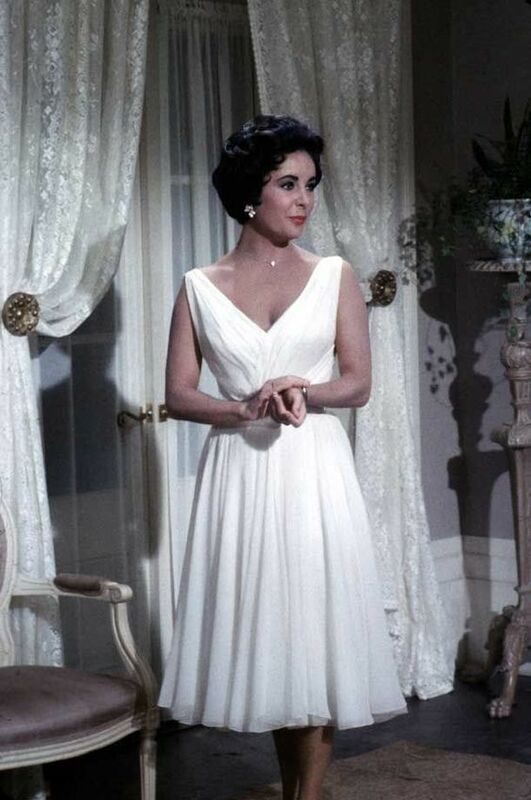 Here's Elizabeth looking beautiful in this V neck white chiffon dress in the movie, Cat on a Hot Tin Roof (1958). According to Mirror, this dress became such a hit that women all around the world copied the design, and even Elizabeth had one made for herself. 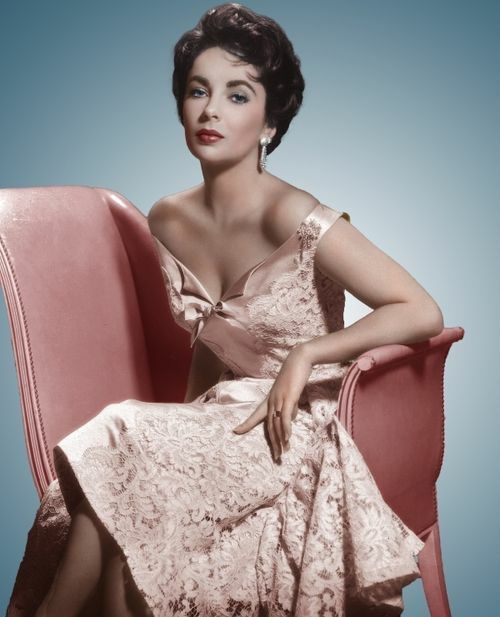 So the next time you feel like passing up on a plain, solid coloured dress, think Elizabeth Taylor. When the dress is simple, the focus is all about you and only you - don't you think so? You know how they say that you should sometimes learn to take a step back and celebrate successes, regardless big or small? 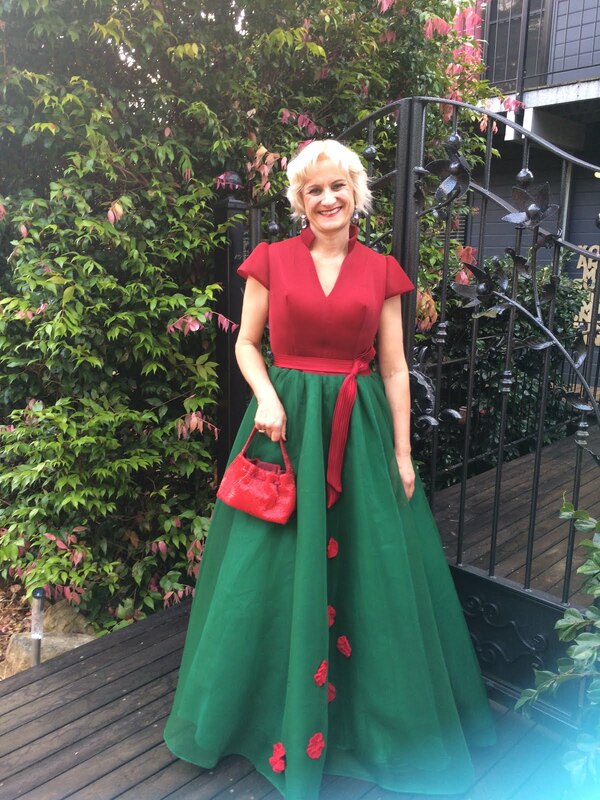 So this week, I thought we'd round up some of our favourite photos featuring our very own customers all dolled up in their gorgeous frocks. After all, all the product descriptions and model photos in the world can only do so much, but wouldn't it be more meaningful to see the actual dress being worn? 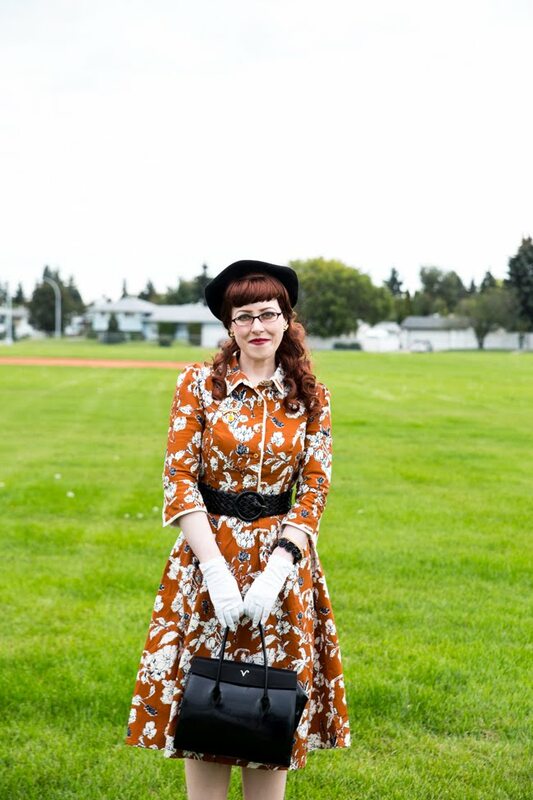 This one of a kind retro prom dress just looks adorable on Anne's daughter. I mean, truly, we are at a loss for words. She looks just like a Korean princess, doesn't she? With such a darling shade of pastel pink finished with delicate floral appliques and beadwork, what's not to love about this number? It's always music to our ears when we hear our customers singing praises about our dresses and service. 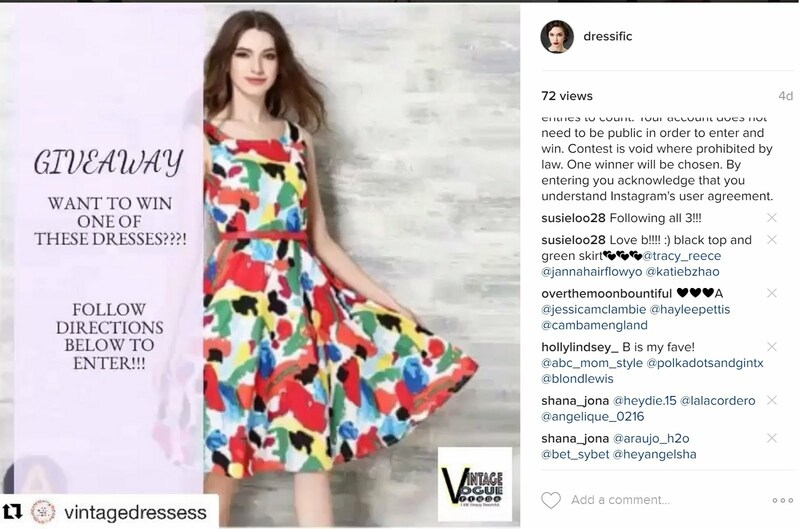 So imagine how we felt when we found out that one of our dresses was to be featured in a local online magazine? 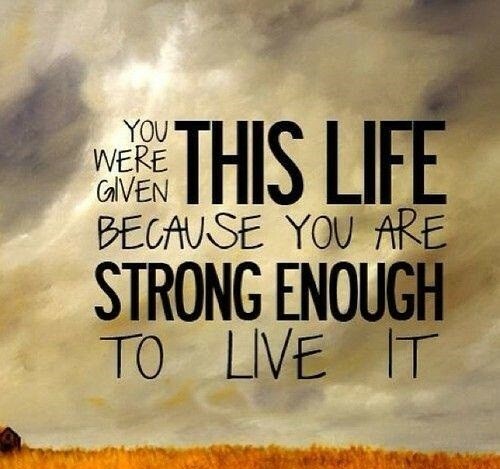 You got that right - cloud nine! These behind the scene photos were sent in by our customer who works as a makeup artist. 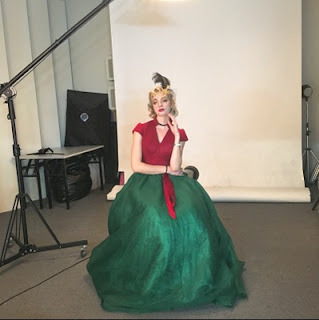 We adore how she styled the model - it's oh so vintage! 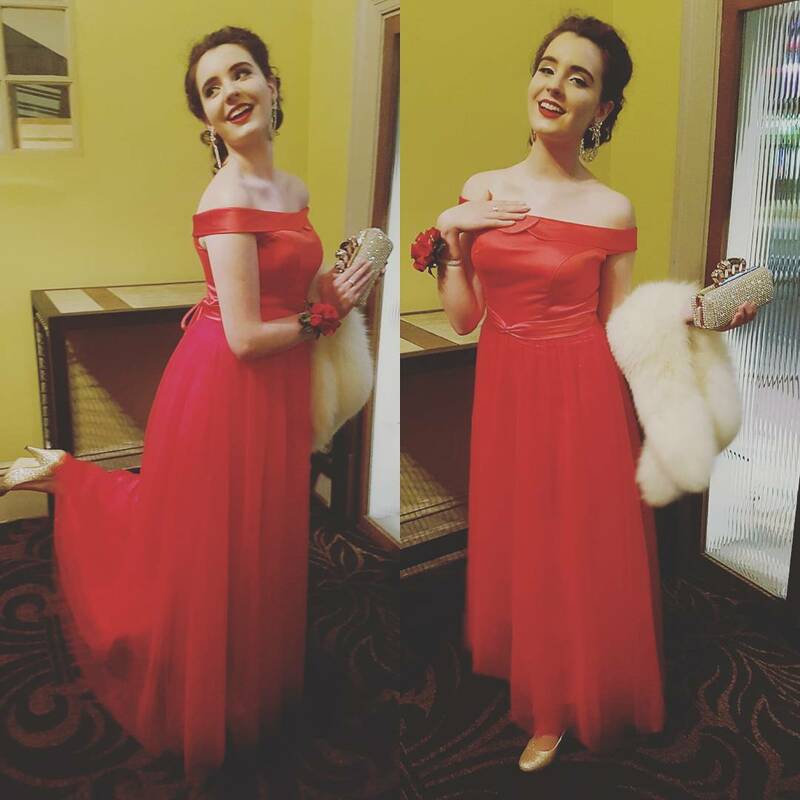 Our all time favourite, this fit and flare vintage inspired prom dress just looks gorgeous on Lina below. Lina ordered her dress made to measure and couldn't be more happier with the results. We love how Lina put her own spin on the dress with her stylish hairdo! 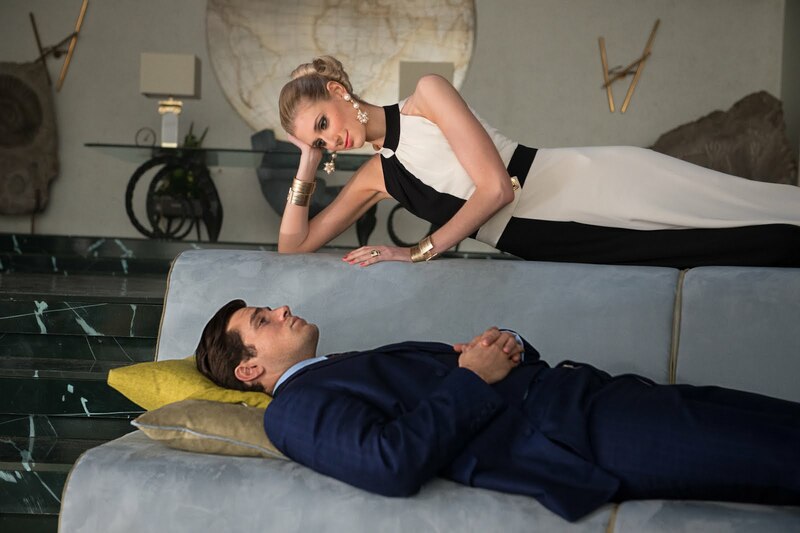 Seeing Daphne in this dress just makes us smile. She is as beautiful as she is adorable. Both mother and daughter were so happy with this made to measure dress that they couldn't stop recommending us to their friends. We're so happy that we got to be a "part" of your special event, Daphne! 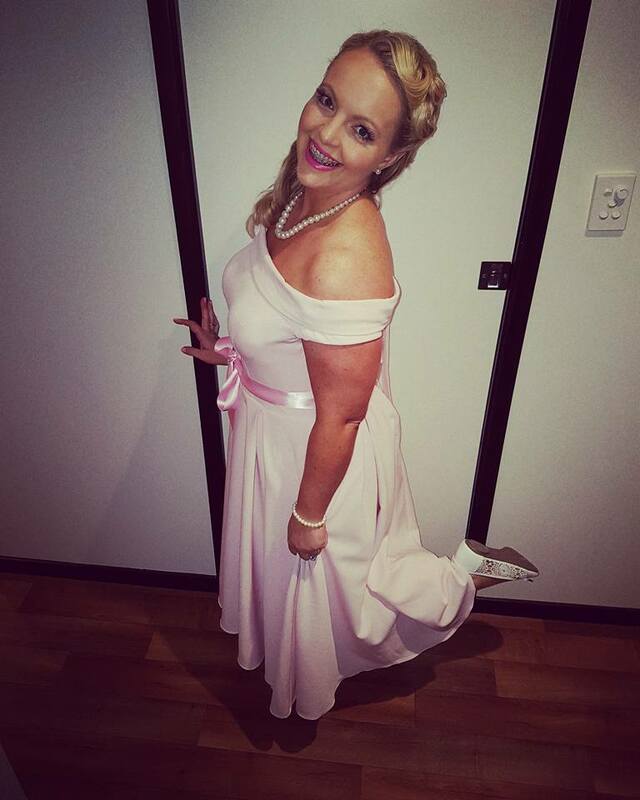 And last but not least, we have the gorgeous Nicole wearing her Audrey Hepburn inspired off shoulder vintage dress. Although there were a few hiccups, Nicole was very happy with how it all turned out on the actual day and received many compliments about her dress. We're so happy for you, doll! I honestly wished we could feature more, but that's all the time we have for today. If you love today's post, be sure to leave a comment and we'll feature more like this in future. I've Seen Your Products Sold Cheaper Elsewhere. Why? One of the more common questions we get from our customers is, why is it that your products are more expensive in comparison to other retailers in the market (to be more specific, China based companies)? Before we ever sell products from a particular manufacturer or designer, we will sample their goods first. Once we’ve established a business partnership, all images, product information, catalog, etc. will be provided to us for our perusal as we are reselling the manufacturer’s products on their behalf. And what better way to illustrate my point than to provide an example, right? You got it sister! 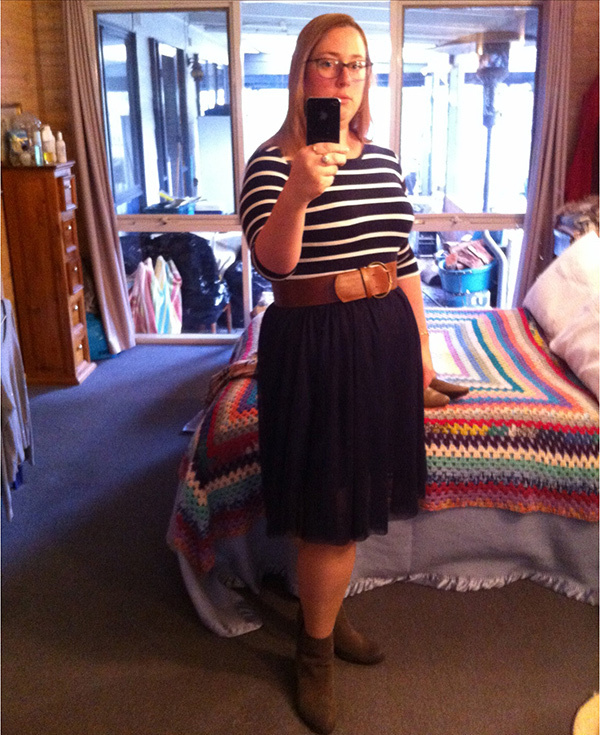 Say for example, you were interested in this Free As A Bird Vintage Style Dress. These photos were taken by our manufacturer with their own in house models. 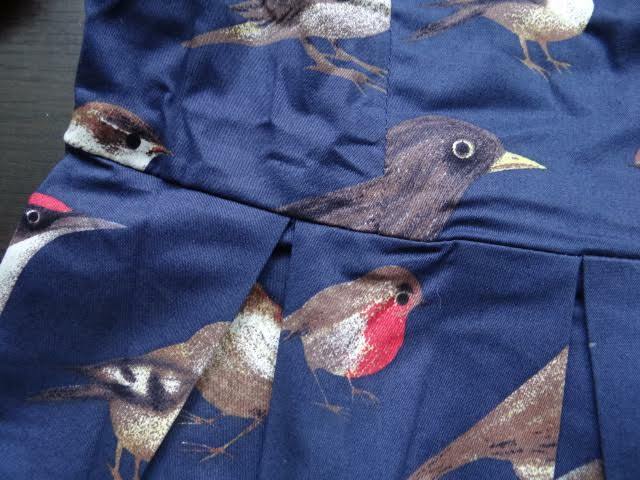 The fabric used is 100% cotton and features adorable and somewhat quirky bird prints. At this stage, some of us are sold by these great looking model photos (I know I am!). But others are still a little bit apprehensive. Sure, the dress looks good on the model, but what does it REALLY look like in reality? To answer your question, this is what it looks like. We took this photo with a regular camera - no fancy flashes or lighting. You can tell from the photo that it's cotton and the bird prints are the same as the model photos. Now here's the problem. Some retailers may use the lovely model photos above, but what you're actually getting is the product below. As you can see, this version of the dress uses a polyester fabric instead although the print appears to be similar. Now, I'm not saying that there's anything wrong with this dress but to be fair to the manufacturer, if you are selling this version then don't use their photos. It's very misleading and it tricks the customer into thinking that they are getting an authentic designer (manufacturer) product when they are actually not. So I hope this gives you a better insight in terms of our products, and more importantly, what to be wary of when you're shopping from sites that carry similar products but at a rock bottom price. Remember that if it's too good to be true, it usually is. And if all else fails, trust your gut instincts. This week, in keeping with the formals (a.k.a. 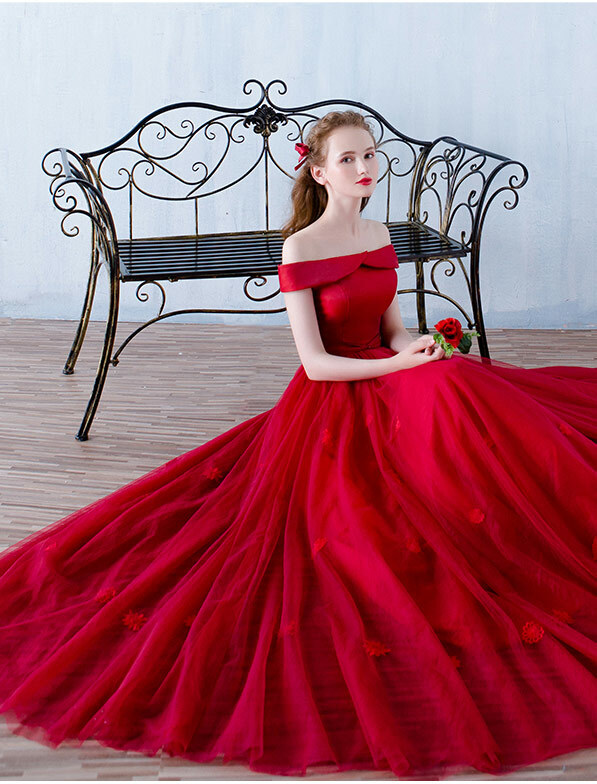 prom) theme, we've added even more lovely designs in our store. Our inspirations? Nothing but the best of vintage fashion, we promise. Audrey Hepburn will usually top our list, but surprisingly enough (well, maybe not), it's Grace Kelly that's driven most of our dress selections this week. See, we're not that predictable. 😉 When it comes to dressing the part, this princess knows best. You probably may have seen these photos before, but it never ever gets old for us. 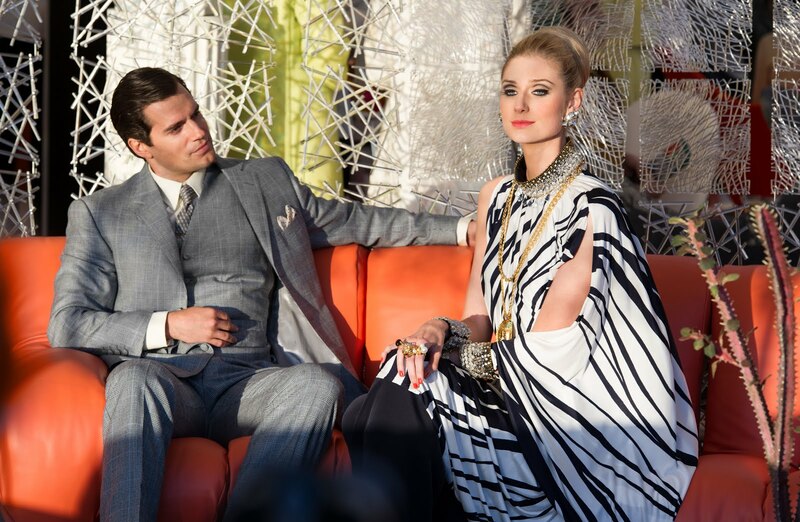 After all, that's the best part about retro and vintage inspired designs - they'll never go out of style. 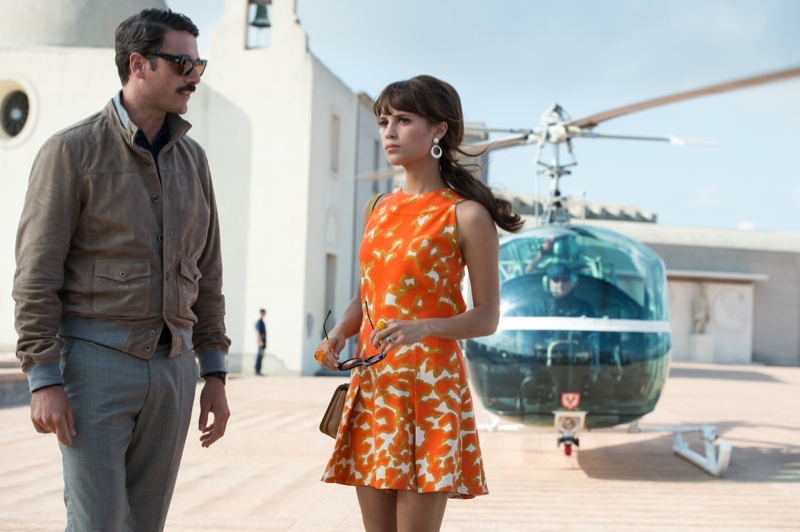 Can you believe that colour block formal dresses have been in fashion since back then? I especially adore this beautiful frock which Grace Kelly wore in the film, Rear Window. I love that it's so simple yet ever so elegant - so typical Grace Kelly style. Then again, beauty doesn't have to be complicated. Anyway, we'll have to thank Edith Head again for this classic, timeless number. The contrast really works with the belt adding a cute little detail to the waistline and the slightly lower V neck shows off the decolletage quite elegantly. 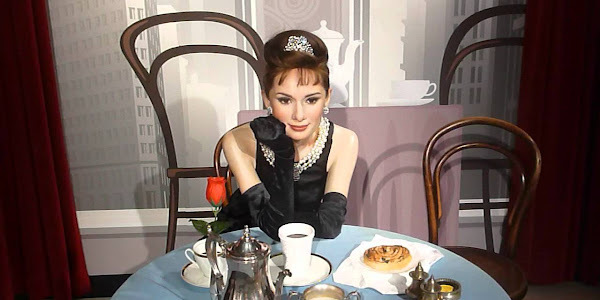 The fact that I love Audrey Hepburn to bits also means that she has to be on this list right? 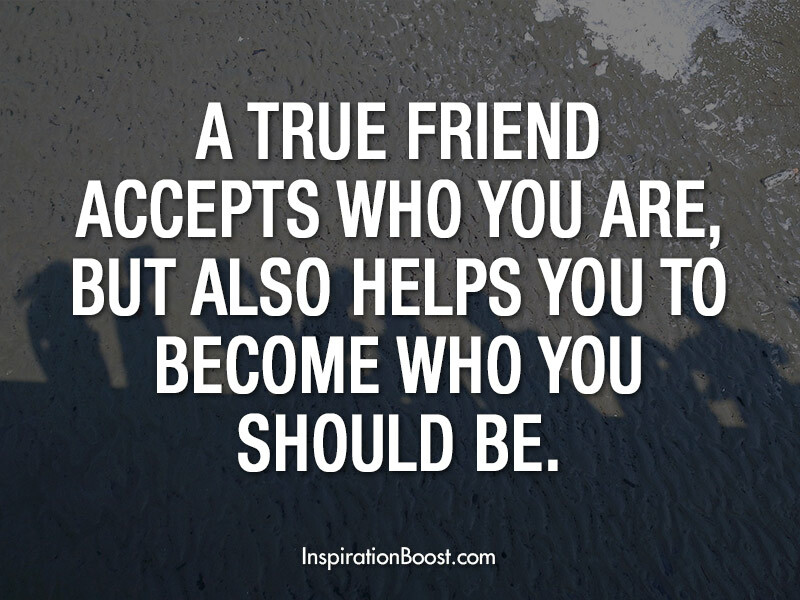 Yes, absolutely! 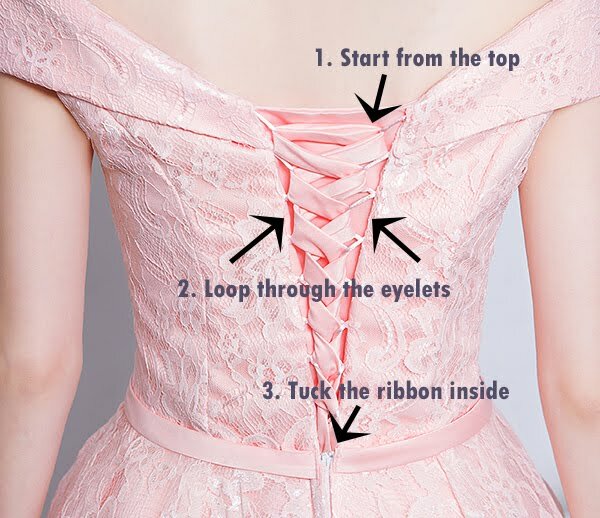 If you've been mulling over whether or not to wear a ball gown, well maybe this will give you a good enough reason to? 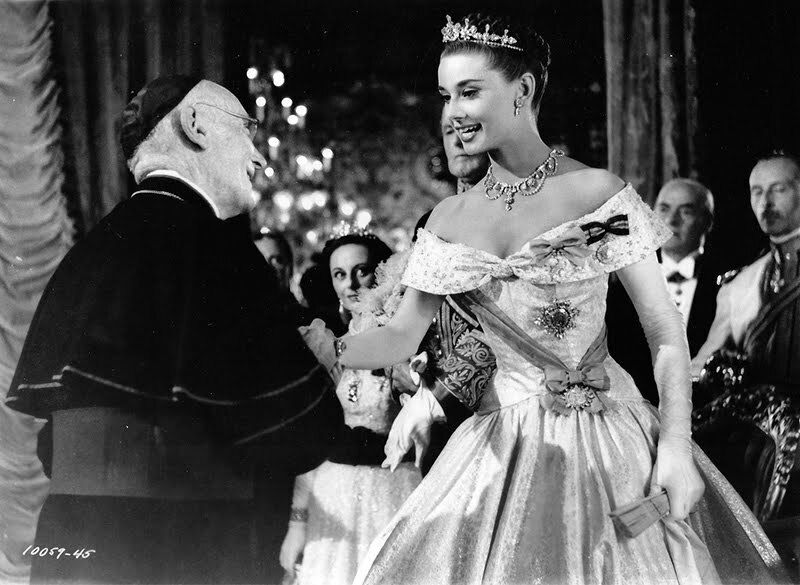 Here's a rare photo of Audrey Hepburn as Princess Ann in the movie, Roman Holiday. 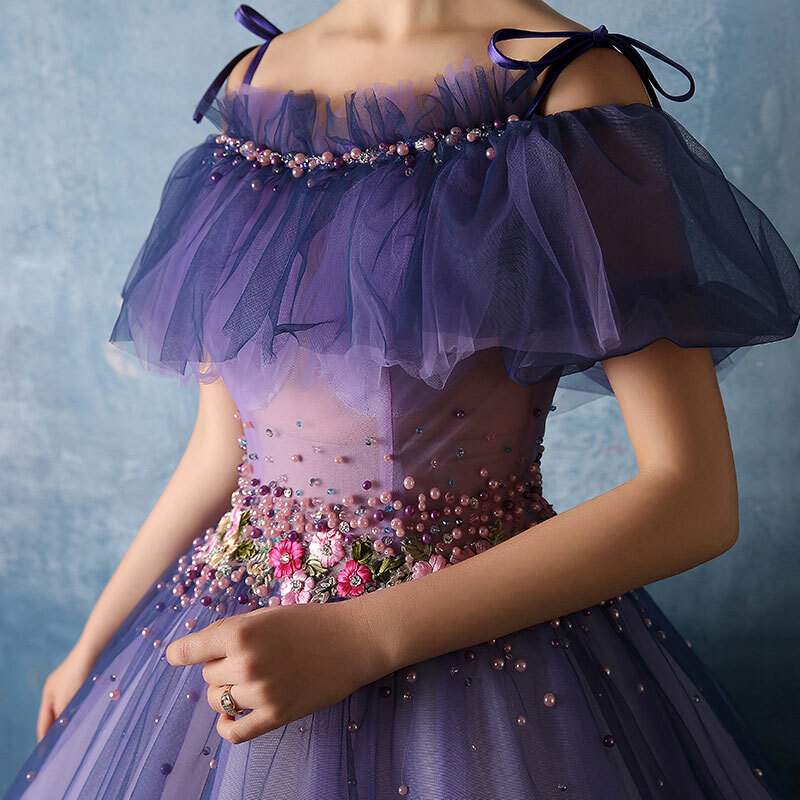 That off shoulder ball gown is to die for! And ladies, if you're not going to wear a ball gown to your formals or wedding - then when else? And what happens when you combine the best of both worlds? 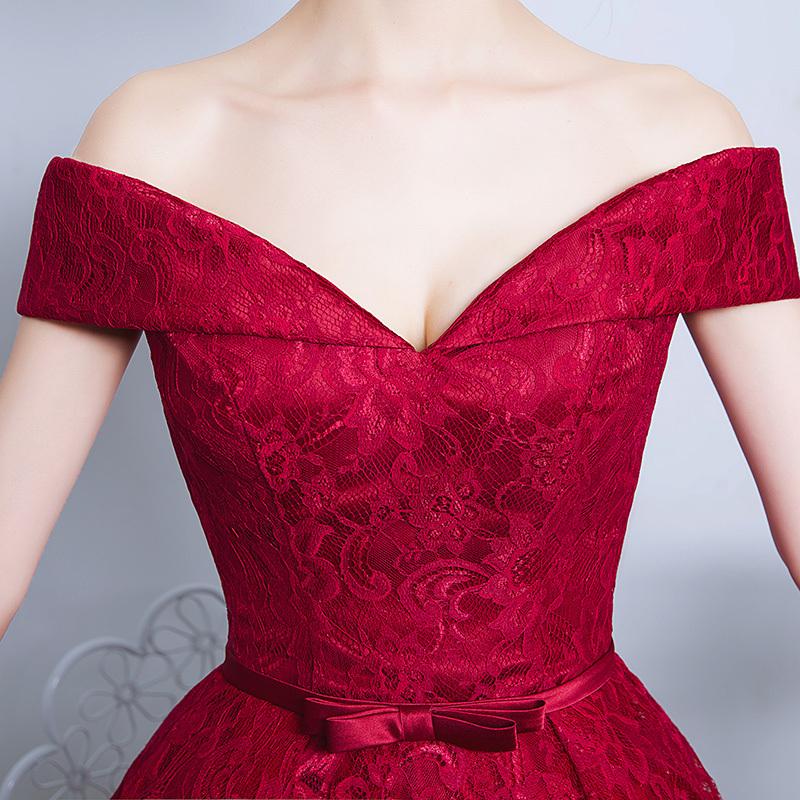 You get this beaut of a ball gown with an uber-feminine off shoulder sweetheart neckline. 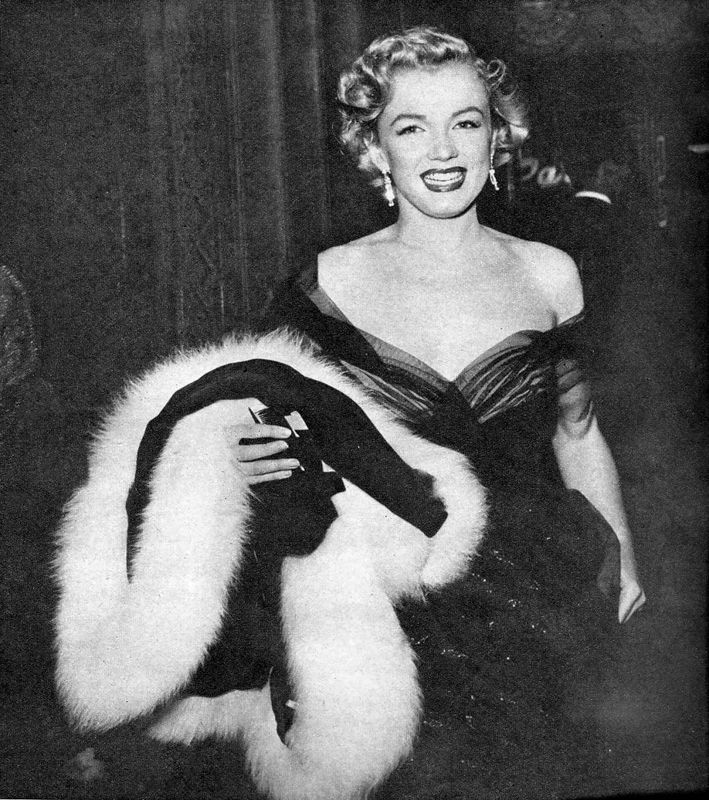 Suffice to say that this frock which Marilyn Monroe wore to the Academy Awards in 1951 still stands as one of our all time favourite Marilyn looks with such seductive glam. And that smile, it's priceless. When it comes to lace, I guess things can become a tad tricky. Simple reason being you either really love lace or hate it, so it's really subject to personal taste. However, having said that, I find it hard to believe how anyone would actually NOT like this dress. Picture perfect in white? It's an understatement. 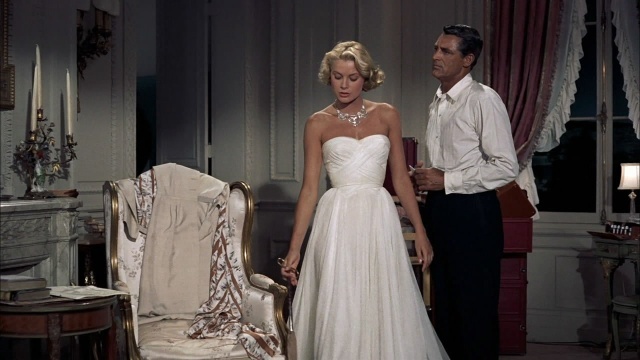 But that's probably how I would best describe Lauren Bacall dressed in this stunning white lace frock in the film, How to Marry A Millionaire. And that subtle touch of pearls - ingenious!